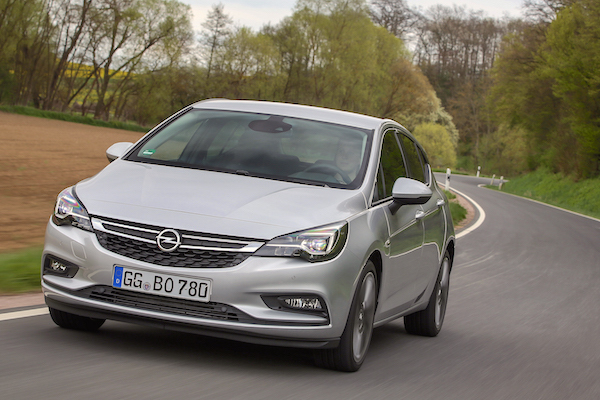 The Opel Astra is up 247% in October in Romania. After surging 62% in September, new car sales in Romania are up a more modest 5% year-on-year in October to 7.951 units, lifting the year-to-date tally up 18% to 75.943. Market leader Dacia lags behind its home market at -1% but still commands one in every three new sales at 32% share vs. 29.3% so far in 2013. Skoda follows the market at +5% to 10.6% share, distancing Volkswagen (+7%) while Renault (+41%) and Opel (+70%) both post spectacular gains. Notice also Mercedes (+23%), Hyundai (+19%), Audi (+38%), Suzuki (+79%), Mazda (+28%), Land Rover (+37%) and Citroen (+79%) all signing very healthy improvements inside the Top 20. Among smaller brands, Jaguar (+183%) and Lexus (+114%) impress. At the other end of the stick, Nissan (-12%), Ford (-13%), Toyota (-13%), Mitsubishi (-43%), Seat (-51%) and Fiat (-77%) struggle. Model-wise, the Dacia Logan (+8%) evolves above its YTD level at 20.2% share vs. 17.8% and ranks ahead of the Dacia Duster (-14%), Skoda Octavia (+14%) and Dacia Sandero (-17%), replicating the YTD order. The Opel Astra shoots up 247% to 5th place thanks to the new model, with other great performers including the VW Jetta (+122%), Renault Captur (+173%), Renault Kadjar (+135%), Dacia Lodgy (+171%), Ford Kuga (+105%), Audi Q5 (+195%) and Toyota Aygo (+129%). Recent launches are discreet, lead by the Renault Talisman (#67), Fiat Tipo (#73) and Jaguar F-Pace (#94). Full October 2016 Top 35 All-brands and Top 200 All-models below.